DAVID LE/Staff Photo. 6/19/15. 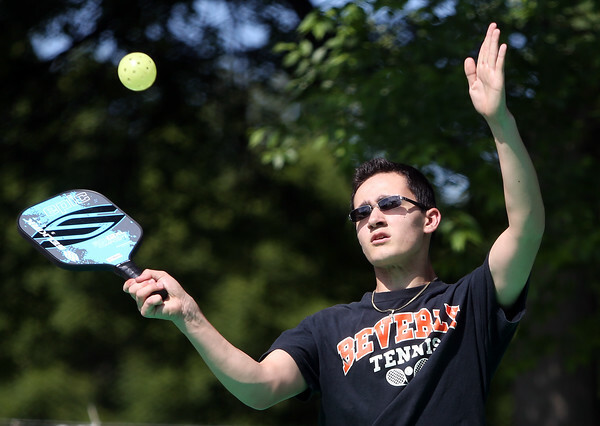 Roman Carnevale concentrates on returning a serve while playing Pickleball in his driveway.